Manuals+ - Page 47 of 47 - User Manuals Simplified. WARNING: Never leave product charging unattended for extended periods of time. Always disconnect Zipp Nano™ from charger immediately after the Zipp Nano™ is fully charged. Please refer to enclosed safety instructions. Colors and styles may slightly vary. Built in 6 axis gyroscopic chip keeps the Zipp Nano™ extremely stable in all conditions. New T (training ) mode helps beginner pilots learn how to fly. 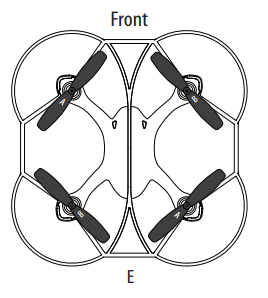 Unique switch blade technology allows for 3ch and 4ch flight modes. 3 different speed settings for slow to high speed flying. LED directional lights makes the Zipp Nano™ easy to follow. 2.4G radio allows for a 200 foot operational range. The Zipp Nano™ is engineered for incredible maneuverability including 360˚ aerial stunts! Unscrew the battery cover from the back of the remote control. Install 2 “AAA” alkaline batteries into the battery pack as shown in the diagram. Replace the battery cover and secure it. Make sure the Zipp Nano’s power switch is in the “OFF” position and plug the USB charging cord into the charging socket of the Zipp Nano™(see diagram A ). Battery Cover Caution: The USB plug fits the charging socket only in one way. Do not force it. 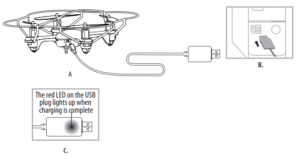 Connect the Zipp Nano™ charging cord to your computer’s USB port (see diagram B). Caution: Only use this charging cord with a computer USB port! Do not attempt Battery Compartment (2 “AAA” batteries) to use other USB charging devices. The red LED on the USB plug lights up when charging is complete (See diagram C). Note: If the red LED lights up, either the charging is complete or the USB plug is not properly connected. The charging time will vary depending on the percentage of battery already charged. The average charging time is approximately 30-45 minutes. The Zipp Nano™ operates for approximately 5-7 minutes per charge. Low battery indication: the Zipp Nano™ ‘s LED lights will begin to flash to notify you that the battery is running low. The lights will continue to flash for 45 seconds before the Zipp Nano™ automatically lands. Thank you for purchasing the 2.4 G Indoor /Outdoor Zipp Nano™. Please read this instruction booklet as it contains valuable information on how to properly fly and care for your Zipp Nano™. DO NOT FLY YOUR ZIPP NANO™ IN FOUL WEATHER! Verify that there are 2 “AAA” batteries inside the remote control unit and the Zipp Nano™ has been fully charged. Make sure to be in a large space with an open radius of at least 50 feet. Make sure the empty space has no obstacles and river. Set your Zipp Nano™ on a clean flat surface before take-off. DO NOT ATTEMPT TO FLY YOUR ZIPP NANO™ IF THERE IS RAIN, SNOW, HEAVY WINDS, THUNDER OR LIGHTNING OUTDOORS. IT COULD DAMAGE YOUR PRODUCT AND POSSIBLY EVEN CAUSE BODILY HARM. Important! 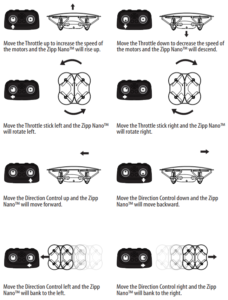 When syncing your Zipp Nano™ copter with the controller always make sure that the copter is on a flat level surface. 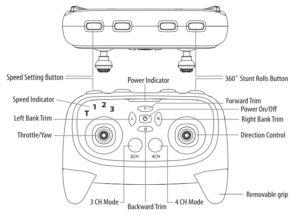 This ensures that the 6 Axis gyro is properly programmed to mimic your trim settings. Your Zipp Nano™ utilizes an automatic 2.4G channel selection system that allows up to 8 people to fly side by side in the same wireless range. 1. 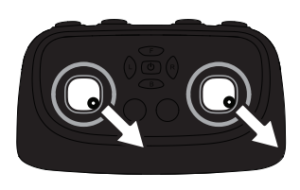 Before starting, make sure that the power on both your controller and Zipp Nano™ are in the OFF position. Make sure that there are no other 2.4G devices in the area as well. 2. Turn ON the Zipp Nano™ and set it down on a flat surface. The white and red LED indicators of the Zipp Nano™ should flash. 3. ON the remote, pull the throttle all the way down, then turn ON your remote and You will hear 2 short beeps, the white and red LED lights start flashing faster, Push the throttle all the way up and pull it down, your Zipp Nano™ and remote should have successfully synced. Should this not happen, repeat all steps again. 4. Before starting, make sure that the power on all Zipp Nanos and Controllers are in the OFF position. Make sure that there are no other 2.4G devices in the area as well. 6. After syncing a players Zipp Nano™, it should be left ON until all players have synced their Zipp Nano™. 7. Should there be a mistake/interference, all players must turn off their controllers and Zipp Nano™ and start the process all over again. It is recommended that you operate the Zipp Nano™ in a wide space. The ideal space should have a 200 foot radius. Parental guidance or adult supervision is suggested at all times. If you are flying the Zipp Nano™ with others, make sure all spectators are behind you. For best performance, it is recommended that you operate the Zipp Nano™ in zero wind conditions. Wind can greatly affect the performance of the Zipp Nano™. 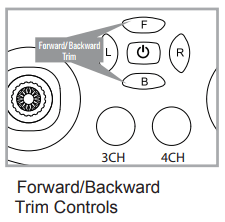 If your Zipp Nano™ is moving forwards or backwards automatically, you may need to adjust the FORWARD/BACKWARD TRIM buttons. If your Zipp Nano™ flies forward, push and release the B TRIM button repeatedly until the moving stops and proper flight is maintained. If your Zipp Nano™ flies backwards, push and release the F TRIM button in the same manner until the problem is resolved. From time to time you may have to adjust the FORWARD/BACKWARD TRIM to ensure the Zipp Nano™ will hover in mid-air and respond accurately to your commands. If your Zipp Nano™ is not steadily hovering and is banking to the left or right automatically, you may need to adjust the BANKING TRIM buttons. If your Zipp Nano™ banks to the left, push and release the R TRIM button repeatedly until the banking stops and proper flight is maintained. If your Zipp Nano™ banks to the right, push and release the L TRIM button in the same manner until the problem is resolved. From time to time you may have to adjust the BANKING TRIM to ensure the Zipp Nano™ will steadily hover in mid-air and respond accurately to your commands. NOTE: The use of the Trim buttons are accompanied with a Beep tone. A single long Beep indicates the product is center trimmed. Continuous long Beeps indicate the product is trimmed to the maximum on a particular side. Even though the Zipp Nano™ has four rotors there is still a front or “forward” facing direction and “back” or backwards facing direction. The forward Front and forward facing direction of the Zipp Nano™ is the side with two holes. The rear and back of the Zipp Nano™ is where the battery charging socket and the power ON/OFF is. The Zipp Nano™ when in flight will also help you keep aware of the orientation with lighted LED lights in the arms of the Zipp Nano™. NOTE: The front of the copter displays WHITE LED lights and the back of the copter displays RED LED lights. The Zipp Nano™ has 4 speed settings; T(Training), 1 (SLOW) , 2 (MEDIUM) and 3(HIGH). The Default setting when you first turn on your Zipp Nano™ is the 1 (SLOW) speed mode. To increase the speed simply press the speed setting button (see remote diagram on page 3) You will here a beep and the speed indicator will display the current speed setting with the Number. Number 1 indicates slow speed, 2 indicates medium speed and 3 indicate high speed. Simply press and hold the Speed Setting Button you will hear a long beep and the speed indicator will change to “T”, Now you are in the T mode. T mode allows you learn how to operate your Zipp Nano™ in a very slow speed. To exit T mode just press the speed setting button again. In T-Mode and Mode 1 (with safety cage fitted), The Zipp Nano™’s motors will automatically shut off when it comes into contact with the ground, walls or any other objects. This is a safety feature for beginner pilots and is disabled in mode 2 and 3. 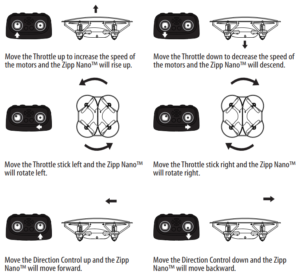 Below is a list of basic flight functions for your long-range remote control Zipp Nano™. While learning to fly your Zipp Nano™ it is best to start with a large space until you get used to the basic controls. As you master flying your Zipp Nano™ you can move to more advanced maneuvering techniques. Practice makes perfect! When you have these basic steps down you can move to the next level. If the Zipp Nano™ becomes unstable during the course of flying, you may need to re-stabilize the internal gyros. To do this place the Zipp Nano™ on a level surface, pull both of the control levers on the remote down and to the right (approximately 45º) at the same time. 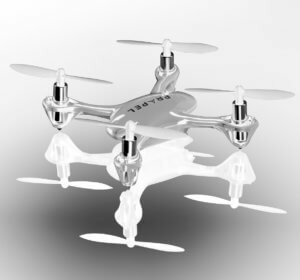 The LEDs on the Zipp Nano™ will flash quickly and then remain solid, this indicates your drone has been stabilized (see diagram below). 1. In order to make your Zipp Nano™ do 360º rolls you must fully charge your battery. Note: The Zipp Nano™ will not do 360º stunt rolls in T-Mode, Mode1 and under low battery indication (The LED lights on the drone will be flashing). The Zipp Nano™ is designed for INDOOR and OUTDOOR use. The Zipp Nano™ blades revolve at high speeds and can cause damage to the user, spectators, and animals. Stand away from the Zipp Nano™ to reduce the risk of getting into the flight path. Warn spectators that you will be flying your Zipp Nano™ so that they are aware of its position. Before a flight, inspect the rotor blades to make certain that the blades are securely fastened to the Zipp Nano™. Choking/Cutting Hazard. Small Parts/Sharp Rotor Blades. Keep hands, hair and loose clothing away from the propeller when the power switch is turned to the ON position. Turn off the transmitter and Zipp Nano™ power switches when not in use. The included charger is built specifically for the Zipp Nano™ Li-Poly battery. Do not use it to charge any other battery. New alkaline batteries are recommended for maximum performance. Parental supervision recommended when flying Zipp Nano™. This Zipp Nano™ uses a Li-Poly rechargeable battery. If battery no longer stays charged, dispose of battery properly according to local disposal requirements. Remote control requires 2 “AAA” batteries (not included). Please read the important battery safety warning below. Do not mix alkaline, standard (carbon-zinc) and rechargeable batteries (Nickel Metal Hydride). Rechargeable batteries are to be removed from the item before being charged (if removable). Exhausted batteries should be removed immediately and must be recycled or disposed of properly according to state or local government ordinances and regulations. 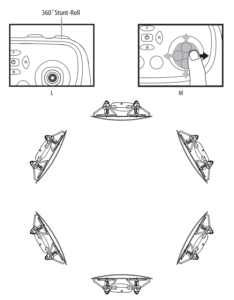 Batteries are to be inserted with the correct polarity (see inside booklet for diagram). Do not dispose batteries in a fire – batteries may leak or explode. Always remove the batteries from the wireless infrared remote control when it is not being used for an extended period of time. To clean, gently wipe the remote control and Zipp Nano™ with a clean damp cloth. Keep the toy away from direct heat or sunlight. Do not submerge the toy into water. This can damage the unit beyond repair. Parental guidance recommended when installing or replacing the batteries. Your Zipp Nano™ propeller system is a precision instrument that may need repair or replacement from time to time for optimal flight function. 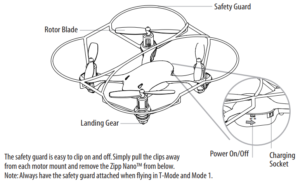 Crash landing from high-speed aerial flights may cause damage to your Zipp Nano™ propellers. 1. The Zipp Nano™ has four blades, two A & B blades on front, and two B & A blades on back (see the diagram E). 2. Pick up a blade from the included spare parts and match Front the marking to the diagram E.
3. Replacing the correct blade to the broken blade. CAUTION: Changes or modifications not expressly approved by the party responsible for compliance could void the user’s authority to operate the equipment. Consult the dealer or experienced radio/TV technician for help. INDUSTRY CANADA NOTICE: CANADA ONLY. This device complies with Industry Canada licence-exempt RSS standard(s). The operation is subject to the following two conditions: (1) this device may not cause interference, and (2) this device must accept any interference, including interference that may cause undesired operation of the device. Le présent appareil est conforme aux CNR d’Industrie Canada applicables aux appareils radio exempts de licence. L’exploitation est autorisée aux deux conditions suivantes : (1) l’appareil ne doit pas produire de brouillage, et (2) l’utilisateur de l’appareil doit accepter dout brouillage radioélectrique subi, même si le brouillage est susceptible d’en compromettre le fonctionnement. Conforms to safety requirements of ASTM, CPSIA and FCC. The Universal Media Remote uses Bluetooth wireless technology to operate your PS4™ system and to control the playback of common types of media, including Blu-ray Disc media. Infrared (IR) technology enables you to operate peripheral devices such as your television, AV amplifier, and cable/satellite set-top box. For IR operation, you must point the IR transmitter of the remote directly at the device. Check that there are no obstructions between the remote control and the device. Remove the battery cover on the rear of the Universal Media Remote and insert 2 AAA batteries. Make sure the batteries are in the correct position. To use the Universal Media Remote, the PS4™ system software must be version 2.55 or later. You can check the system software version by selecting Settings -> System -> System Information. This operation is performed only once, when you are using the Universal Media Remote for the first time. Turn on the PS4™ system. For the latest PS4™ usage instructions, refer to the user’s guide for the PS4™ system (manuals.playstation.net/document/). For the latest Universal Media Remote instructions, refer to the online user’s guide (support.pdp.com). Only one Universal Media Remote can be registered with the PS4™ system at a time. When you pair the Universal Media Remote with another PS4™ system, registration with the original PS4™ system is cleared. To use the remote with the original PS4™ system, you will have to follow the pairing procedure again. You can use the Universal Media Remote to operate a TV, A/V amplifier, or set-top box. Set the remote code to match the product in use. NOTE: Some functions of your original remote may not be controlled by this remote. Use the original remote, if available, to control such functions. Sometimes buttons other than described in these instructions may actually perform the function. For example, the channel and volume buttons might be used to navigate through menu choices. We recommend you experiment with the remote to identify if such situations apply to your equipment. There are two ways to program TV, AMP, and CBL devices, AUTO SEARCH MODE, or MANUAL ENTRY MODE. Turn the target device ON. Point the Universal Media Remote directly at the target device and make sure it stays pointed at the device throughout the programming process. On your Universal Media Remote, press and hold down the green PWR key and the desired device key for about 5 seconds. The red LED on the remote will turn on, indicating that it is now in Auto Search Mode. Keep the remote pointed at the device. When the remote locates the correct code, the device will turn OFF. When the device turns OFF, immediately press any key to complete programming. If the red LED turns off and programming was not successful, please use manual entry mode. Refer to the Manufacturer’s Code List included in the product documentation. Find the brand name of the target device. On your Universal Media Remote, press and hold the gray device key, and enter the first 4-digit code from the Code List. Release the gray device key. Point the remote at the target device and press the PWR key. If the device does not turn on, repeat the process with the remaining codes on the list until programming is successful. The yellow, blue, red, and green “soft keys” can be used for learning additional IR commands from other remote control devices. By default, the green soft key controls device INPUT. If desired, this key can be reprogrammed. On the Universal Media Remote, hold down the gray device key that corresponds to the device of the existing (teaching) remote. At the same time, hold down the colored soft key you wish to program. After 5 seconds, the red LED will light up, indicating the remote is ready to learn.
. Point the teaching remote directly at the IR window on the front of the Universal Media Remote, and press the key on the teaching remote that you want to teach. The red LED on the Universal Media Remote will flash 3 times, indicating that learning was successful. The volume and channel keys can be set to always control the correct device, regardless of which mode the remote is in. Hold down the gray device key for the device that should always control volume and the MUTE key at the same time. The red LED will flash 3 times to indicate Volume Punch Through is successful. Hold down the gray TV and CBL buttons until the red LED turns on, then release the keys. The red LED will flash 3 times to indicate Channel Punch Through is successful. If the material gets into the eyes, do not rub. Immediately flush the eyes with clean water and seek medical attention. Keep the product out of reach of small children. Small children may swallow the batteries or small parts, which may inflict injury or cause an accident. Do not use batteries other than those specified, and always replace with the same type of battery. Do not mix old and new batteries. Insert batteries with the plus and minus ends in the correct direction. Remove batteries when they have reached the end of their life, or if the remote is to be stored for an extended period of time. Do not expose the remote to high temperatures, high humidity, or direct sunlight. Do not allow liquid or small particles to get into the product. Do not put heavy objects on the product. Never disassemble or modify the product. Do not throw or drop the product, or otherwise expose it to strong physical impact. When cleaning the product, use a soft, dry cloth. Do not use solvents or other chemicals. This equipment complies with FCC and IC radiation exposure limits set forth for an uncontrolled environment and meets the FCC radio frequency (RF) Exposure Guidelines in Supplement C to OET65 and RSS-102 of the IC radio frequency (RF) Exposure rules. This equipment has very low levels of RF energy that are deemed to comply without testing specific absorption ratio (SAR). You are cautioned that any changes or modifications not expressly approved by the party responsible for compliance could void the user’s authority to operate the equipment. This device complies with Industry Canada license-exempt RSS standard(s). Operation is subject to the following two conditions: (1) This device may not cause interference, and (2) This device must accept any interference, including interference that may cause undesired operation of the device. This device complies with RSS-247 of Industry Canada. Operation is subject to the condition that this device does not cause harmful interference. This Class B digital apparatus complies with Canadian ICES-003 (Cet appareil numérique de la Classe B conforme à la norme NMB-003 du Canada). Under Industry Canada regulations, this radio transmitter may only operate using an antenna of a type and maximum (or lesser) gain approved for the transmitter by Industry Canada,. To reduce potential radio interference to other users, the antenna type and its gain should be so chosen that the equivalent isotopically radiated power (e.i.r.p.) is not more than that necessary for successful communication. Conformément à la réglementation d’Industrie Canada, le présent émetteur radio peut fonctionner avec une antenne d’un type de d’un gain maximal (ou inférieur) approuvé pour l’émetteur par Industrie Canada. Dans le but de réduire les risques de brouillage radioélectrique à l’intention des autres utilisateurs, il faut choisir le type d’antenne et son gain de sorte que la puissance isotrope rayonnée équivalente (p.i.r.e.) ne dépasse pas l’intensité nécessaire à l’établissement d’une communication satisfaisante. Hereby, Performance Designed Products declares that this remote control is in compliance with the essential requirements and other relevant provisions of Directive 1999/5/EC. The declaration of conformity may be consulted at www.pdp-eu.com/doc. Before using this product, carefully read this manual and retain it for future reference. Additionally, read the instructions for the Playstation® 4 System. Do not handle damaged or leaking batteries. Visit www.myretrak.com/vr for a list of recommended apps. 1. AAA batteries (not included). 2. 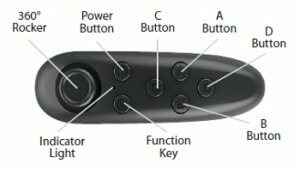 Hold down the power button for 3 seconds to turn on the controller repeate to turn off. 3. For the first time, it should start blinking. This means I t is from your device and chooseìUtopia 360 Remoteî. The LED will stop blinking once paired. Note: To connect the remote to a new device, the old device should be out of range or the Bluetooth should be turned off on the device. Restart the remote and the remote will go into pairing mode after 5 seconds. 1. The switch on the side of the remote should be switched to Android. 2. The device mode can be changed based on the function of the remote change mode, press and hold @ then press any key (A/B/C/D). 1. The switch on the side of the remote should be switched to IOS. 2. The device mode can be changed based on thefunction of the remote. To change mode, press and hold @ then press any key (A/B/C). — Connect the equipment into an outlet on a circuit different from that to which the receiver is connected. Thank you for buying the 8Bitdo ZERO GamePad! It’s the best for fighting, shooting action and emulator games. OSX, Windows are supported. Making the ZERO GamePad ideal for all popular systems and devices. To relive the happy memories of the past. For Android devices, use GamePad. For iOS devices, use Mode Bluetooth Keyboard or iCade. For games that only support touchscreen controls, use Emu-Touch Screen. Hold down button for 2 seconds. D-pad buttons for iOS, four face buttons (A, B, X, Y) for Android. Connect the ZERO GamePad to another device. Change between GamePad Mode, Bluetooth Keyboard or iCade. Request password (to pair), if not “0000”. Note: Make sure the battery of the ZERO is not empty. Otherwise use the USB-cable to charge the device. key code password to work with Bluetooth. The mapping of the k eys can be done in game. Android/Windows: Connect the ZERO with the USB-cable or Bluetooth. Multiplayer support depends on the game itself. GamePad Mode, Bluetooth Keyboard , iCade. Follow instructions on page Fast Startup Figure, to turn on the ZERO in mode 1, 2 or 3. Scan for Bluetooth devices on your Android/iOS device. Select “8Bitdo ZERO” in the list of available devices. 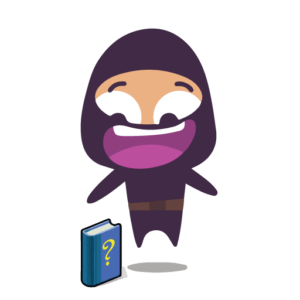 Map the keys in the app or emulator you will be playing. Download the official 8Bitdo APP/APK from the official site at www.8Bitdo.com. Follow the instructions on page Fast Startup Figure, to turn on the ZERO in mode 4. Run the 8Bitdo app and scan for Bluetooth devices. When detected tap “8Bitdo ZERO” to pair. If asked for pairing code (password), enter “0000”. In Emu-Touch screen mode, press SELECT+START to activate l 8Bitdo app. Finally, drag and drop buttons in order to map the keys to your satisfaction. Press SELECT+START to finish set-up. system Bluetooth first and then scan, pair again. Tip: Double tap DPad or use two fingers can zoom it to fit games. Blue light flashing: Bluetooth disconnected. Solid Blue light(Breadth in 5s): Bluetooth connected. Green light on: Battery charging. Green light off: Charging completed. Solid Red light: Battery low. No LED lights active: START off or Sleep mode. To restore the ZERO to factory settings hold down for 8 seconds. The device has been evaluated to meet general RF exposure requirement. The device can be used in portable exposure condition without restriction. 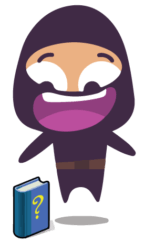 Download the PDF version of the user manual.